Tregonwell was charged with defending the coastline around Bournemouth against Napoleonic forces, and liked the area so much that he built a mansion for his family. Later he added a number of buildings, which he let to visitors who wished to engage in the increasingly popular activity of ‘sea bathing’ – and so the origins of Bournemouth were laid. This magnificent 19th century building is enhanced by castellated towers and attractively decorated gables and was once visited by Elizabeth of Prussia in 1888. Still retaining much of its original splendour and style The Royal Exeter Hotel today offers visitors a thoroughly modern approach to customer service and care. 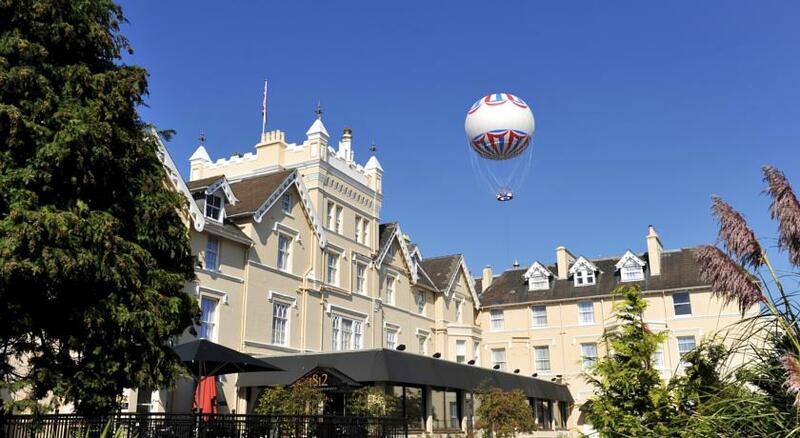 Situated in the heart of Bournemouth, the hotel is ideally located being just a couple of minutes’ walk from sandy beaches and the busy town centre. The hotel is also in the enviably position of being direction opposite the Bournemouth International Centre which hosts a range of concerts and shows along with conferences and exhibitions. The hotel provides 54 ensuite bedrooms and guests can choose rooms with either traditional or contemporary décor. Several of the Executive rooms feature four-poster bed and spa baths. With its combination of stylish bars, inviting restaurant, sunny patio areas and leisure facilities the hotel offers value for money and a quality and friendly service to all its guests. The Royal Exeter Hotel has undoubtedly stood the test of time providing visitors with the perfect venue for over 100 years. We hope to welcome you as a guest very soon.